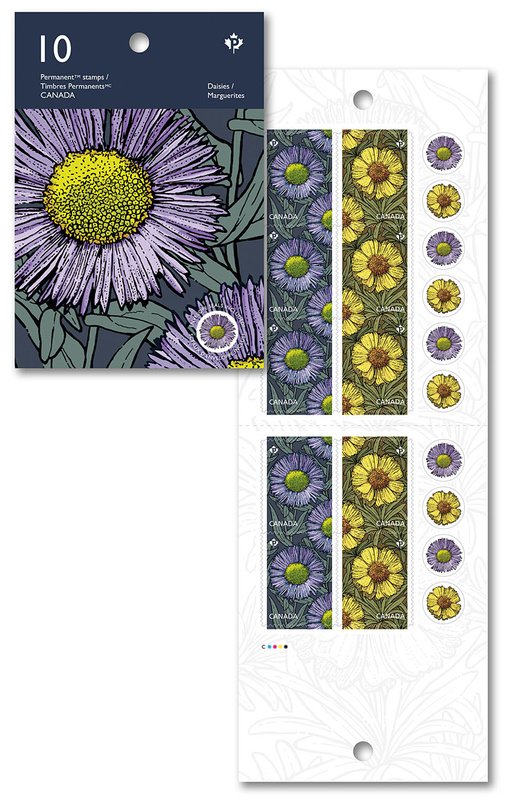 Let your love of flowers blossom with this strip of four permanent domestic stamps featuring two species of daisies. 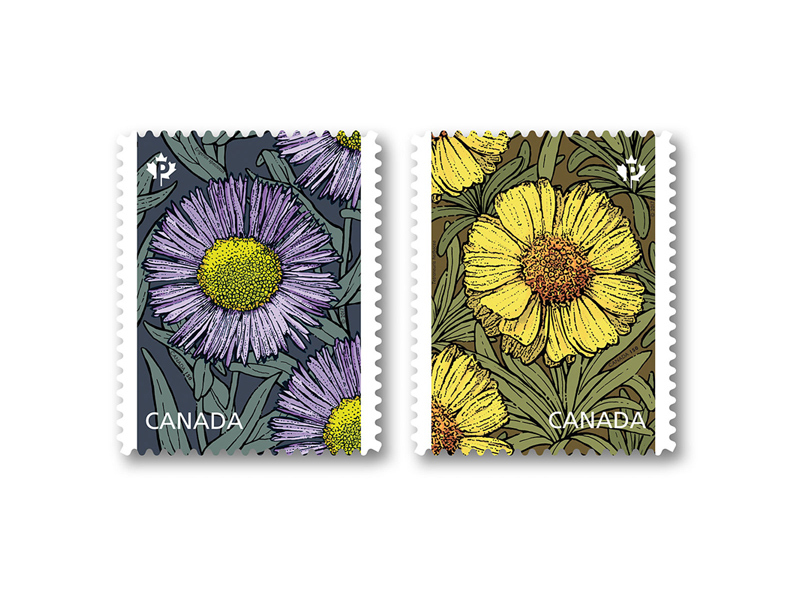 The stamps, from Canada Post’s annual flower issue, depict the brilliant yellow lakeside daisy (Tetraneuris herbacea) and the lavender showy fleabane (Erigeron speciosus). 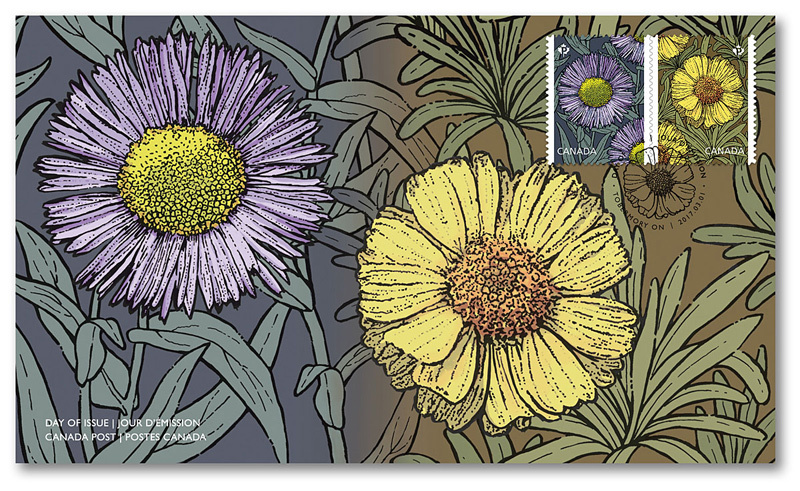 An at-risk species, the lakeside daisy now grows almost exclusively along the shores of Lake Huron on Ontario’s Bruce Peninsula and Manitoulin Island. 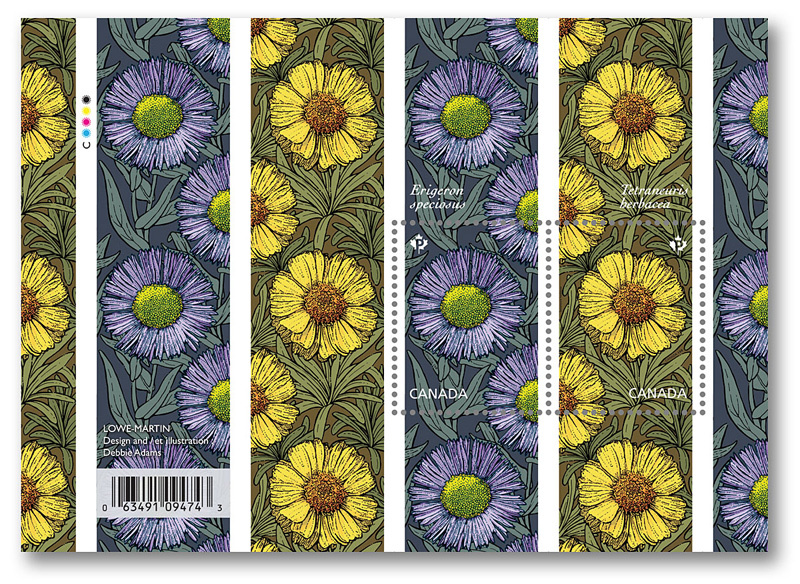 The showy fleabane is found in several regions of western North America, with Canadian populations found in the high country forests and meadows of Alberta and British Columbia. Printed on the back of the coil are the lyrics from the classic 1882 song ‘Daisy Bell’ by English songwriter Harry Dacre. 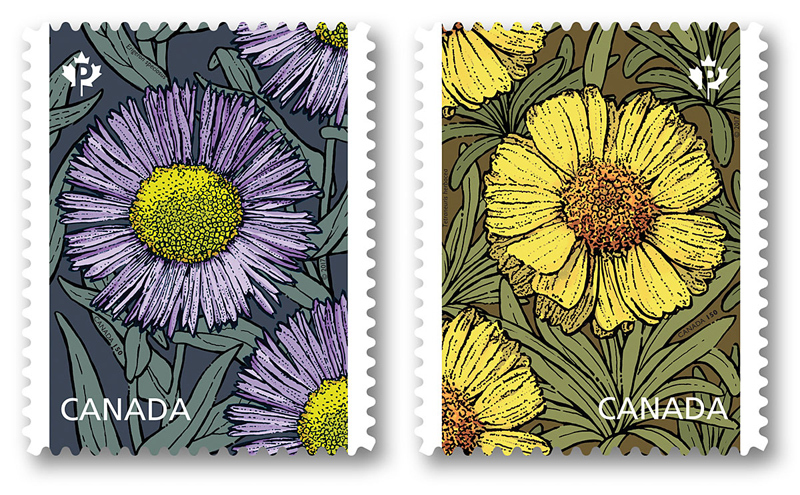 As with all 2017 stamp issues, these stamps include a reference to Canada’s sesquicentennial. The words ‘Canada 150’ are printed in microtype on each stamp.